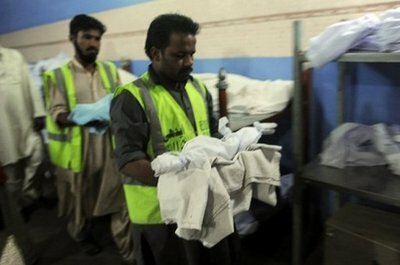 The lifeless bodies of two tiny babies are being given their final bath before burial in Karachi, after they were left to die in the southern Pakistani city’s garbage dumps. More than 1,000 infants — most of them girls — were killed or abandoned to die in Pakistan last year according to conservative estimates by the Edhi Foundation, a charity working to reverse the grim trend. The infanticide figures are collected only from Pakistan’s main cities, leaving out huge swathes of the largely rural nation, and the charity says that in December alone it found 40 dead babies left in garbage dumps and sewers. The number of dead infants found last year — 1,210 — was up from 890 in 2008 and 999 in 2009, says the Edhi Foundation manager in Karachi, Anwar Kazmi. “Do not murder, lay them here,” reads a sign hanging outside the charity’s Karachi base where it has left cradles in the hope that parents will abandon their unwanted children there, instead of leaving them to die. “People leave these children mostly because they think they are illegitimate, but they are as innocent and loveable as all human beings,” says the charity’s founder, well-known humanitarian Abdul Sattar Edhi. Most children found are less than a week old. Khair Mohammad, 65, works as a watchman in the charity’s vast graveyard in the city outskirts. It is dotted with tiny unnamed graves. “We acquired this land to bury children after another plot was filled with hundreds of bodies,” he says. The death toll is far worse among girls, says manager Kazmi, with nine out of ten dead babies the charity finds being female. “The number of infanticides of girls has substantially increased,” Kazmi says, a rise attributed to increased poverty across the country. A Pakistani family can be forced to raise more than one million rupees (11,700 dollars) to marry their daughter off. Edhi says that up to 200 babies are left in its 400 cradles nationwide each year and that it handles thousands of requests for adoption by childless couples. Abortion is prohibited in Pakistan, except when the mother’s life is at risk from her pregnancy, but advocates say that legalisation would reduce infanticide and save mothers from potentially fatal back-street terminations. But crimes of infanticide are rarely prosecuted. “The majority of police stations do not register cases of infanticide, let alone launch investigations into them,” said lawyer Abdul Rasheed. 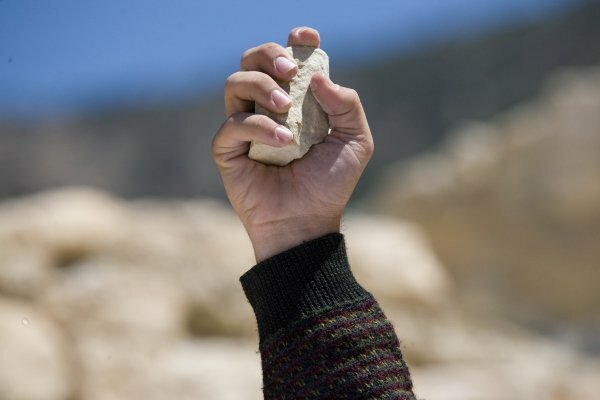 Pakistanis for Peace Editor’s Note– The killing of innocent babies is utterly reprehensible in conservative Pakistan. If one does not want the baby, we urge the parents to drop off the unwanted babies at any Edhi Foundation center to be raised as an orphan. Islam does not condone killing of any life at any age under any circumstances. We are saddened by these stories and hope that this trend comes to an end soon.